Christmas needn't all be about gold and silver glitter, and reindeers don't always have to have red noses. 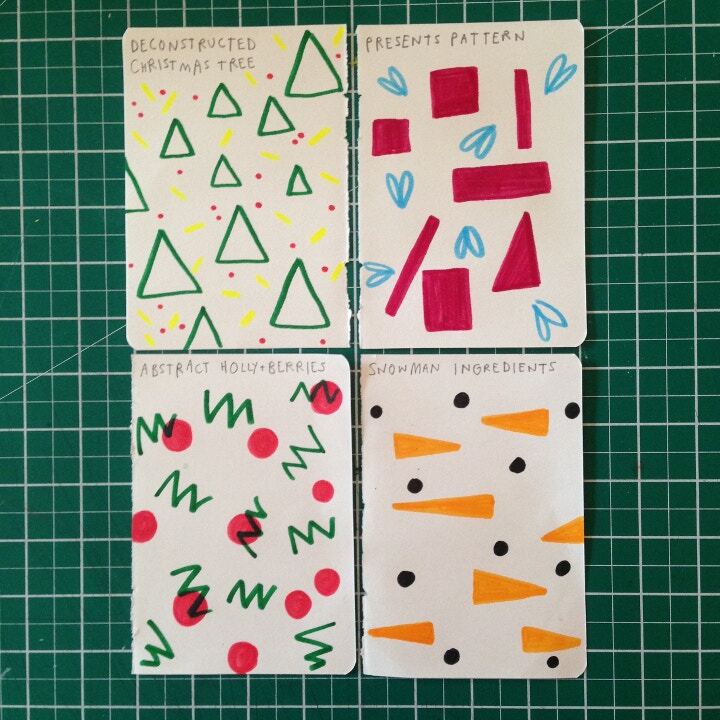 Former Cass Art Student Ambassador Kate Ashton gives her tips on how to MAKE CHRISTMAS, and take the festive season back to the 1980's, with her abstract take on a classic decoration. 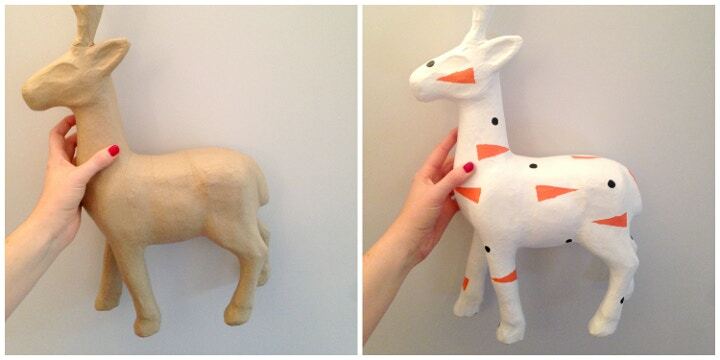 Read on for her tutorial on how to decorate a decopatch reindeer. A pencil, paper and some coloured pens for the design stage. Before we get started: Check your reindeer over for lumps and bumps. If you're as clumsy like I am you may find a few minor fractures in your reindeer, but there's no need to panic if this is the case. 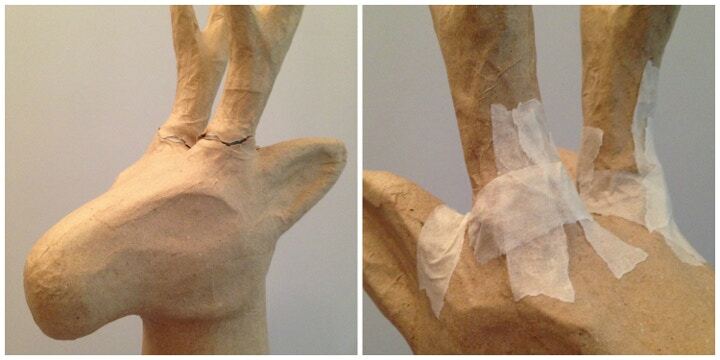 Grab your masking tape and layer up over the affected area. Any patching will be well-concealed once the first layer of paint has been applied. 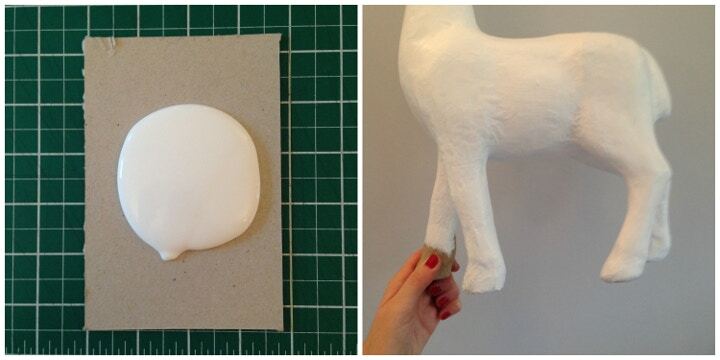 Using a scrap of card or greyboard as a palette and a reasonably sized flat brush, apply an even coat of white paint over your reindeer. The white creates a nice base layer to work onto. You can use Gesso if you have any at home, but acrylic paint works just as well for this project and is far more cost-effective. You may want to apply a second coat once the first is dry, to ensure an even finish. I chose to leave a foot untouched until the very end to give myself something to hold on to whilst painting the rest of the body - beware of finger marks, which may compromise the overall look of your finished reindeer. It's now time to decide what pattern or design you want on your reindeer. I tried out a few ideas based on classic Christmas themes and motifs (holly and berries, Christmas trees, presents and snowmen) and tried to deconstruct, minimalise and abstract them. Remember to bear in mind that you'll need to repeat the final design in paint onto your reindeer, so keep things nice and simple! I whittled my initial ideas down to four favourites and finally settled on the 'snowman ingredients' pattern, which is based on a snowman's coal eyes and carrot nose. Of course, you can always spray paint a flat colour or cover the reindeer with Decopatch paper, instead - I just wanted to take the illustrative route. Depending on your chosen design, you may want to create stencil, which will make transfering the pattern onto your reindeer quicker and more consistent. 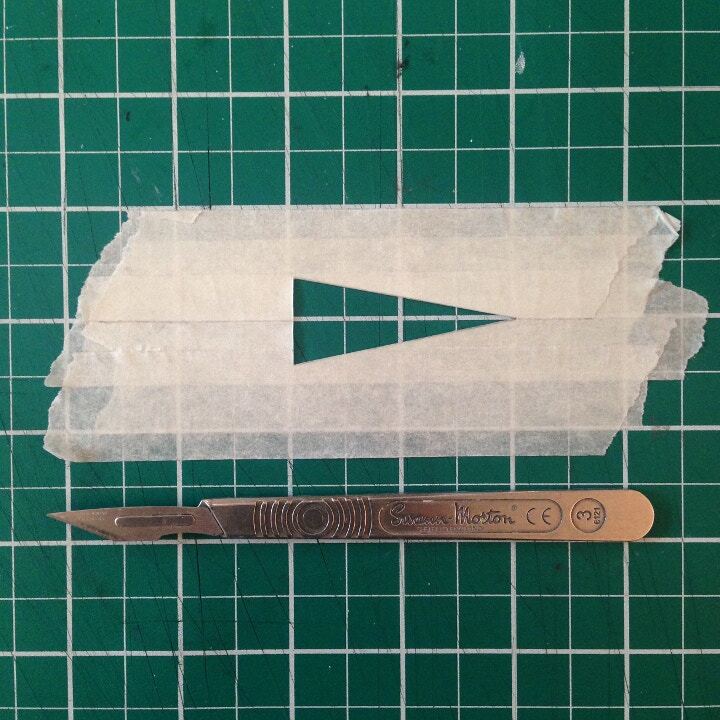 To make your stencil, layer a few strips of masking tape onto your table (or preferably a cutting mat) and use a craft knife to cut out the desired shape. My stencil was of the triangular snowman's nose, but you can make a template for any block shape you want to repeat in your design. I made life simple for myself by choosing two easy colours to mix (in fact, one didn't even need mixing at all). Use another scrap piece of card to mix your paints on and make sure you make enough of your chosen colours to finish the whole reindeer. Now the template and paint are prepared you're ready to get painting; roll up your sleeves, make sure the cat is safely locked away in another room, and pick up your paintbrush. Place the stencil (if you're using one) on the reindeer wherever you like, making sure it's flush to the surface, and gently apply the paint. 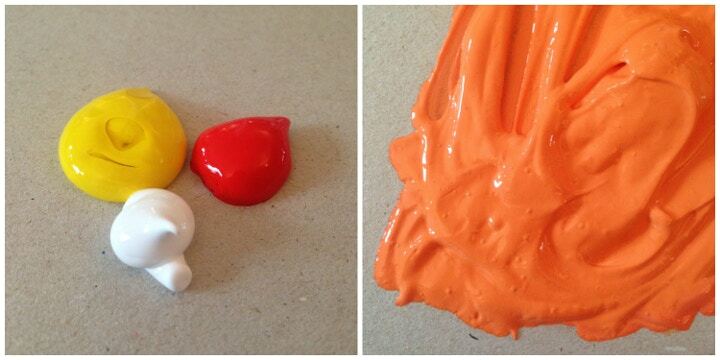 Try to stick to one direction when brushing on your paint so that the end result looks clean and smooth. Repeat this over the reindeer until you are satisfied. Wait for the first layer to dry and then proceed to the next step of your design. I did the coal lumps last, painting them freehand in between the carrot shapes, but you could use a second stencil if this is easier for your chosen design. Let the whole thing dry, stick the hair dryer on it if you are as impatient as I am, and you're done! My reindeer will be guarding the presents under the tree, but you can put yours wherever you fancy; in the window framed by fairy lights, by the fire place, or on the dining table for the fanciest of all centre pieces. By Cass Art Student Ambassador, Kate Ashton. Take a look at more of Kate's work here. 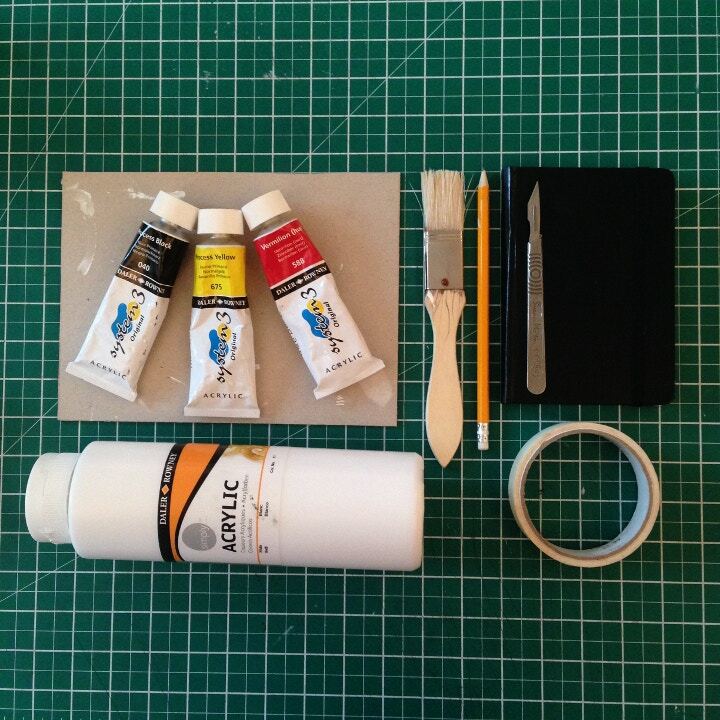 Shop for paint and craft materials online at Cass Art.